Metal Factor is a nonprofit partnership created to help Sri Lanka’s advertising industry to realize its dream of achieving world class standards and to gain global recognition for its work. Metal Factor has been responsible for many programs to benefit the industry, very specially the youth. We have organized competitions at a national level to select promising young advertising professionals to represent the country at the Young Lions competitions at the Cannes Lions festival as well as giving opportunities to students to attend the much acclaimed Roger Hatchuel Academy at the Cannes Lions. Similarly, young professionals have also been selected to represent Sri Lanka at the Young Spikes competitions. Metal Factor also represents several publishers such as Archive and Contagious in Sri Lanka and also markets the Cannes Lions materials and other renowned annuals, books and periodicals. Metal Factor also supports the Cannes Prediction program conducted by Leo Burnett in partnership with the IAA Sri Lanka Chapter. They have also actively supported many training programs and events. The now popular Green Chillies festival is an initiative of Metal Factor which is staged in partnership with the industry bodies. After 18 years at the helm of the Publicis Groupe Offices in Sri Lanka, Ranil de Silva recently retired from his role as the company’s Managing Director. With just a handful of employees in a shared office, de Silva was instrumental in establishing the Colombo office of the global Leo Burnett network, growing it from a team of 18, to a dynamic enterprise comprising 100+ of Sri Lanka’s brightest advertising professionals. From small, local beginnings, he took the company to international glory, establishing Sri Lanka on the world map for creativity. Under his leadership, Leo Burnett Sri Lanka has been repeatedly recognized as the Rest of South Asia’s Creative Agency of the Year by Campaign Asia. The company also managed the marketing communications mandate for renowned global and Sri Lankan brands. In a career spanning 36+ years, Ranil has been engaged in such diverse categories as financial services, retail, personal care and leisure, plus a plethora of brands in the food and beverage sector – many of which he has helped propel to great heights of fame. 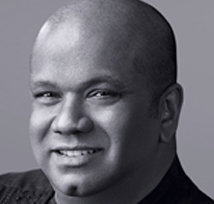 Prior to joining Leo Burnett, the adman was JWT Colombo’s first Sri Lankan employee. After starting his career as a junior Account Executive, he rose to International Vice President, and was also Managing Director of the Colombo office. During his 18 year tenure at JWT, he was posted to JWT Jakarta and also served as a Regional Account Director for JWT Asia Pacific based in Singapore. Ranil served as the President of the International Advertising Association (IAA) Sri Lanka Chapter for two terms and was also a member of the Worldwide Board of Directors of the IAA. In 2010, the IAA conferred upon him the Medal of Merit for his contribution to the advertising industry; an honour bestowed upon only five professionals in the world, bi-annually. De Silva pursued his tertiary education in Australia where he obtained a diploma in visual communications. His entire primary and secondary education was at Royal College where he excelled in numerous co-curricular activities. Most noteworthy was his election as District Interact Representative for Rotary International District 321, which included South India. He was also a house captain and a senior prefect. Ranil has served as a director in the family-owned business – Cyril Rodrigo Restaurants. He is currently on the Board of Jetwing, for the Lighthouse hotel. He is passionate about everything he does, be it travelling the world, staying in great places or taking-in the arts. Mr. Fernando counts 30 years of multi-faceted experience in Sri Lankan capital markets. He is a long-standing Fellow of the Chartered Institute of Management Accountants (UK) holds an MA in Financial Economics from the University of Colombo. He is currently the Managing Director/ of Capital Alliance Holdings Limited and Ceylon Tea Brokers PLC whilst also being the Chairman of Capital Alliance Securities (Pvt) Ltd. and being Capital Alliance Investments Ltd. 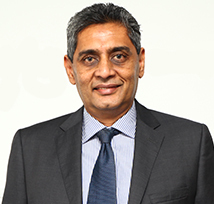 He holds board positions in several other companies including Capital Alliance Partners Limited, Capital Alliance Investments Limited, Senkadagala Finance Company Ltd, First Media Solutions (Pvt) Ltd, ADZ Insurance Brokers (Pvt) Ltd, Finnovation (Pvt) Ltd and Amazing Adventures Lanka (Pvt) Ltd.